Srinagar : An Indian Army Major and three soldiers were killed in a gun battle that also left two militants dead on Tuesday when an incursion bid from Pakistan was foiled on the Line of Control (LoC) in Jammu and Kashmir, a defence official said. 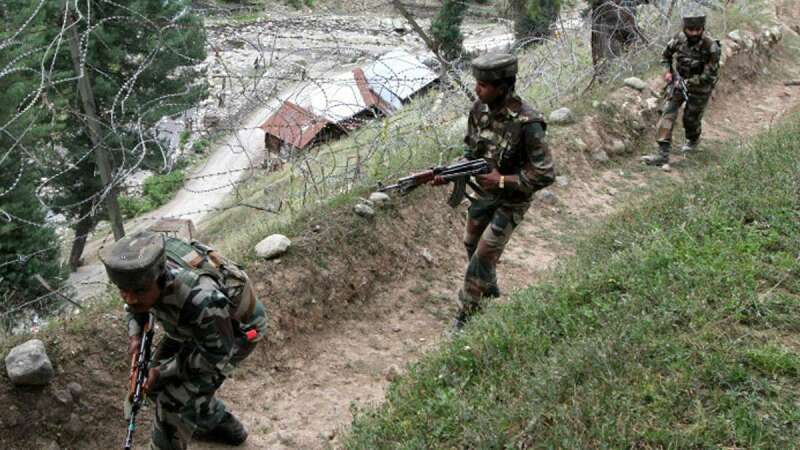 Defence Ministry spokesman Colonel Rajesh Kalia said a group of militants tried to infiltrate to this side of the LoC in Bandipora's Gurez sector, some 180 km north of Srinagar. "They were challenged when they were seen attempting to infiltrate into our side of the LoC. In the ensuing encounter, two terrorists were killed while two others are still trapped in the cordon laid around them. "Four soldiers including a major and three other ranks were martyred in this operation," Kalia said. Sources said para commandos were rushed to augment the troops engaged in the gunfight on the border sector that usually remains peaceful. The identities of the dead soldiers were being withheld till their families are informed. The spokesman said the militants were given cover fire by the Pakistan Army by resorting to ceasefire violation to divert the attention of the troops on the LoC.